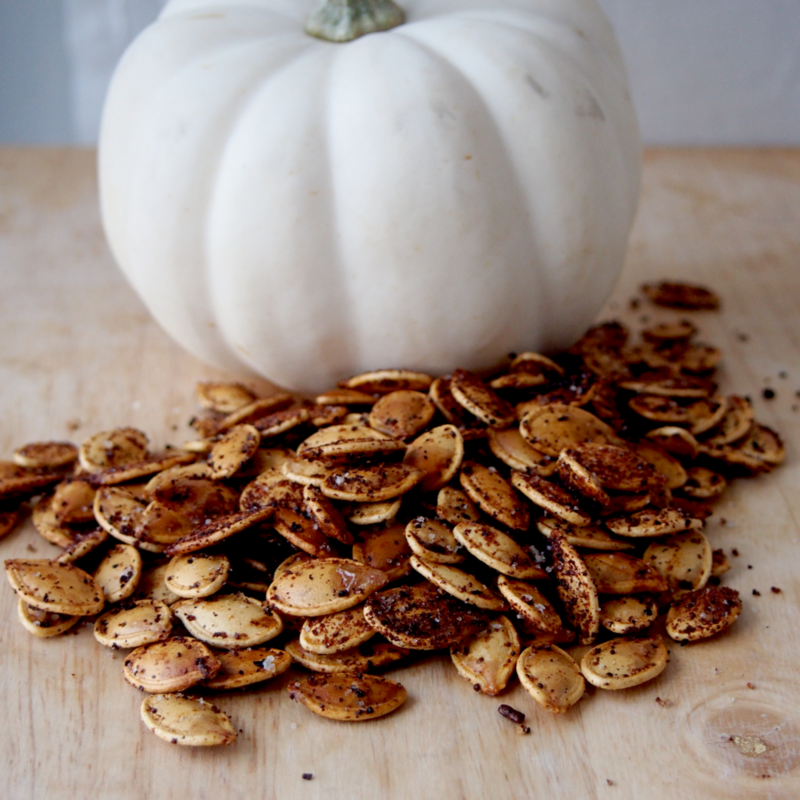 Hubby and I used to make roasted pumpkin seeds all the time. But in the last few years, I’ve put out plastic, pre-lit pumpkins and we haven’t actually carved a pumpkin. This year I saw a great idea for a jack-o-lantern and wanted to do some carving. The pumpkin we picked was not only gigantic, but had a ton of seeds. At least two cups worth. It was definitely time to make some roasted pumpkin seeds with the bounty we had. So salty, crunchy, and the perfect snack while watching a Halloween movie. Thoroughly rinse the pumpkin seeds in water, until all the pumpkin strands have been removed. Spread on a teatowel and let dry. Line a cookie sheet with tinfoil and preheat the oven to 350°F. Place the seeds in a bowl and drizzle with olive oil to lightly coat. Spread on the cookie sheet and bake for 15 minutes, then give the seeds a toss to turn over. Bake for another 15 minutes, then let cool.